Xiaomi has launched its Mi In-Ear Headphone Pro HD earphones in India. Priced at Rs. 1,999, the earphones comes with a stretchable matte wiring, which makes it dirt-resistant and tangle free. The Xiaomi Mi In-Ear Headphones Pro HD sports a hybrid dual-dynamic and balanced armature drivers. The company says that the dual dynamic driver helps keep the bass and mid-tones mellow, while the balanced armature drives retains the high notes. 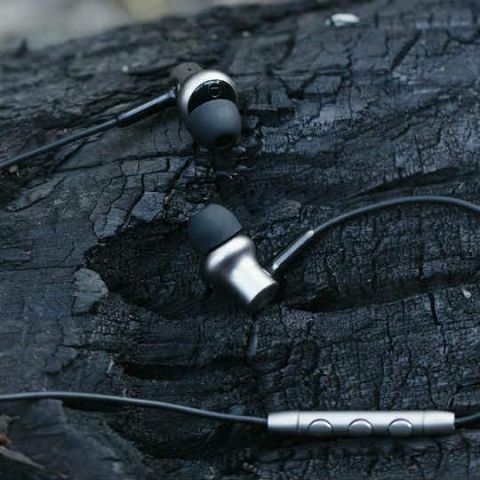 Leading smartphone company Xiaomi today announced Mi In-Ear Headphones Pro HD at INR 1,999. The device sports an all-new design and comes packed with technology that ensures a great audio experience. Mi In-Ear Headphones Pro HD come in full metal-wired control bar and it is made of a highly stretchable matte wiring which gives it a sleek, compact look. The matte wiring makes it dirt-resistant and tangle resistant, making it a perfect durable pair of headphones to enjoy your music while on the go. It is calibrated to to precise ear cavity measurements and sports a rounded and 45° angled in-ear design that ensures they perfectly fit into ears and eliminates any external noise interference. The ear buds are made of medical-grade silicone that is delicate, soft, and gentle on the skin. The pack comes with four different pairs of ear bud sizes to suit every ear shape and size. Mi In-Ear Headphones Pro HD is not only designed beautifully, but is also packed with technology that promises the best acoustic performance. Mi In-Ear Headphones Pro HD comes with hybrid dual-dynamic and balanced armature drivers. The dual dynamic driver keeps the bass and mid tones mellow and the balanced armature drivers retains the rich details of the high notes for the main melody to maintain a tri-band equalization effect. The dual-dynamic driver is made with graphene material that produces sounds that are rich, sharp and clear. To deliver a true representation of the music, 4-time Grammy Award winning tuner, Luca Bignari, conducted scientific acoustic tuning for our Mi In-Ear Headphones Pro HD. A 25-step process to create the aluminium alloy iron sound chamber of Mi In-Ear Headphones Pro HD included integrated diamond cutting, CD engraving, zircon sand blasting, and anodizing. To give a truly accurate finish, Mi In-Ear Headphones Pro HD uses CNC diamond cut finish with up to 0.01mm precision. Mi In-Ear Headphones Pro HD includes a fine, detailed 0.14mm grain that adds a textured metallic lustre similar to CD discs on the headphone’s metal body. The Zircon sand blasting and anodizing layer ensures that the product is hard and resistant to scratches. Which one is the best in the ear headphone under Rs.3000? Which is the best over the ear headphone for mobile under Rs 2000..? ?